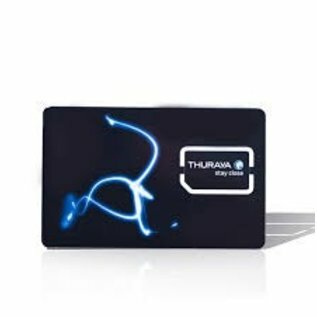 The Thuraya prepaid SIM card is used with a Thuraya satellite phone or SatSleeve. This SIM comes with 10 units, and can be topped up with different Thuraya Prepaid Voucher of different values to suit your specific needs. The 10 units that come with your Thuraya Prepaid SIM card are valid for 1 year. To keep on using your Thuraya Prepaid SIM beyonf that timeframe, you will need to top up with a prepaid voucher of at least 50 units, as Thuraya will deduct 39 units every year to prolongue your Thuraya Prepaid SIM card. The cool down period of 14 days, within which you can send back the purchased product, is explicitly NOT applicable on this Thuraya Prepaid SIM-card, because we activate it immediately upon receipt of your payment. You can however apply for a 14-day-cool-down period yourself, if you send an e-mail to astron@astron.be with your order number and your request to schedule the activation at least 14 days later (or on a specific date).